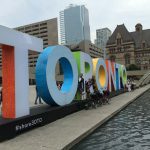 A couple weeks ago, a Brompton rep contacted Heather and asked if she wanted to talk about cycling in Toronto and riding a Brompton. Since Toronto and Bromptons are two things Heather loves very much, she said sure! Here’s the article at Brompton.com.